Have you ever thought why aren’t you feeling hungry and you’ve been repeating this since many days? Well this has been your problem you’re facing due to poor appetite. It can happen because of anxiety, tension, nervousness, depression, emotional upset, sickness or extreme stress such as losing job etc. With your appetite reduction, you can also face diseases like acute infections, anorexia nervosa and influenza. Children are most hit with low appetite than the adults. Mainly if you’re having only snacks, it will lead you to poor appetite at the mealtimes. Even excessive use of few legal and illegal drugs involving antibiotics, cough and cold medicines, amphetamines, morphine, codeine and Demerol can result in poor appetite. If your kids are over-active or are distracted for some reasons, they hardly think of eating food. It is very important to refer a pediatrician and take immediate measures like medications and home remedies. You can also develop your appetite by following few meaningful natural cures which will boost you to eat your regular nutritious foods on time. 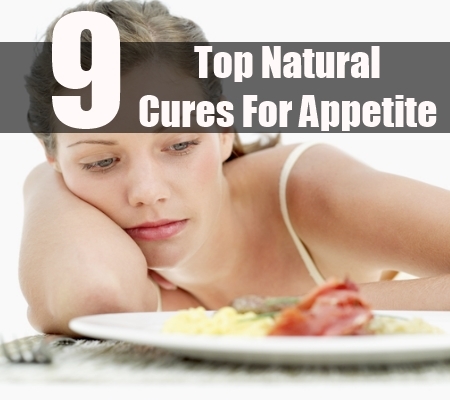 Hence we’ve listed below 9 effectual natural cures for appetite. 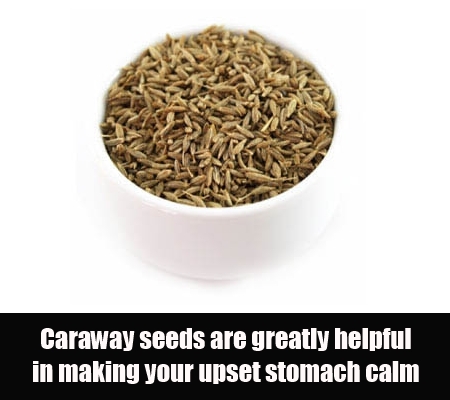 Caraway seeds are greatly helpful in making your upset stomach calm and increase your appetite too. You can add 1 teaspoon of caraway seeds to the cabbage dishes, rye bread, coleslaw and sauerkraut, cheese sauces, pork, duck and goose. You can also prepare caraway liqueur which is named as kummel and serve it after having heavy meal. 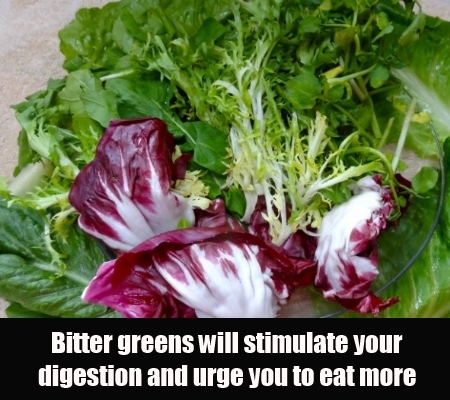 Bitter greens will stimulate your digestion and urge you to eat more. Your body will be impelled by the intake of the bitter greens to build more amounts of digestive juices and also digestive enzymes. They can also arouse the gallbladder so that it can be contracted in order to release bile that will smash the fatty foods into minute particles which the enzymes can simply end smashing them for the absorption. You should boil or slightly cook the bitter greens such as endives, collards, arugula, radicchio, mizuna, sorrel, kale, escarole, watercress, dandelions and green/red mustard once or twice a day for few months, which are rich in fat-soluble vitamins A, D, E and K, and omega-3s. These greens will certainly raise your appetite. 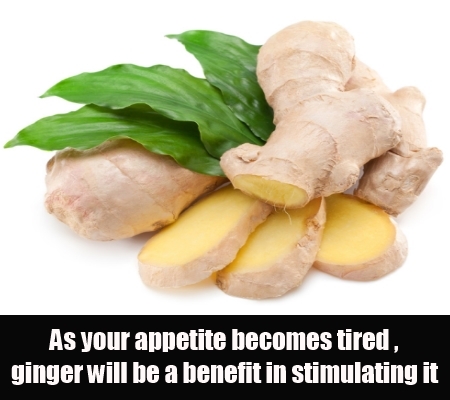 As your appetite becomes tired and is not willing to intake anything, then ginger will be a benefit in stimulating it, be it via its energizing taste and its medicinal properties. You can prepare ginger tea which is a huge appetizer by adding 1/2 teaspoon of powdered gingers in a cup of boiling water for 10 minutes, and then strain and sip it. Ginger tea can be taken 3 times a day daily. 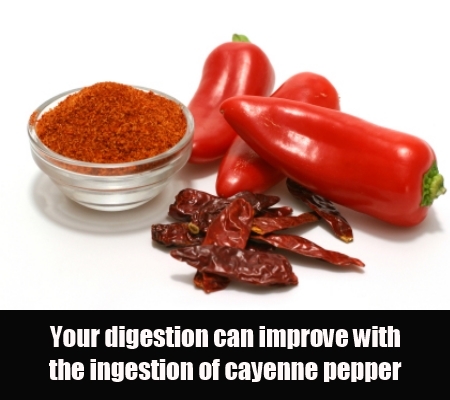 Your digestion can improve with the ingestion of cayenne pepper. It has the capacity to make your dish hot as well as flavorsome too. It even enhances the metabolism and further appetite. You can put few shakes of cayenne to the deviled eggs, chili, potato salad and distinct hot dishes like soups and stews and eat it in your meals. 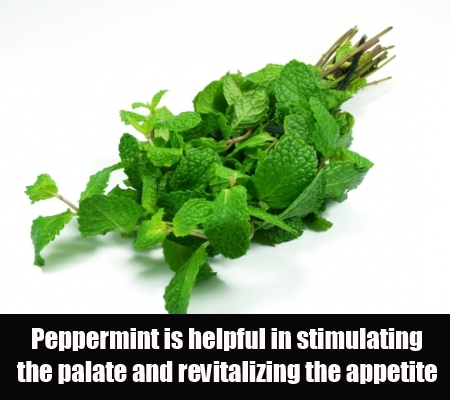 Peppermint is helpful in stimulating the palate and revitalizing the appetite. You can put 1 tablespoon of peppermint leaves in 1-pint jar of boiling water and keep it for 20-30 minutes. Then you can strain and sip slowly. This will make a good peppermint tea. You can also arrange for 1 glass of peppermint lemonade. For this you can insert few sprigs of peppermint to the lemonade mixture and allow it to settle down for 10 minutes. Then you can sip the liquid once or twice per day regularly. 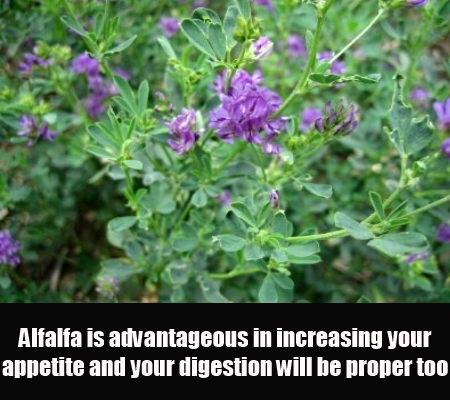 Alfalfa is advantageous in increasing your appetite and your digestion will be proper too. You can add 1 teaspoon of alfalfa to the cooked food and give to your children. You can also make alfalfa salad or else alfalfa soup. If your child faces problem moving bowels, you can put 1 teaspoon of alfalfa to the meal every day which will enhance the appetite level. 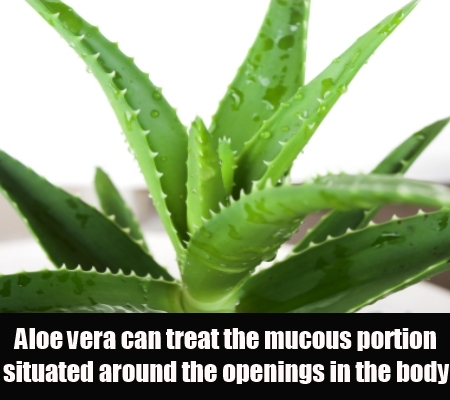 Being an appetite stimulator, aloe vera can even treat the mucous portion situated around the openings in the body. It can also detoxify your body and your body stream, and effectual in aiding the stomach problems. Aloe vera is useful in moving the bowels, so children can overcome the bowel disorder too. You should first take out the gel from aloe vera leaves and put 2 tablespoon of gel in the mixer along with 1 cup of orange or grapefruit juice, and blend it till you notice a smooth appearance. Thus you can drink one glass of blended juice per day daily. You can even make aloe vera soup and have it one time on regular basis. Horseradish can also be considered as a natural cure which can be used to arouse a healthy appetite. 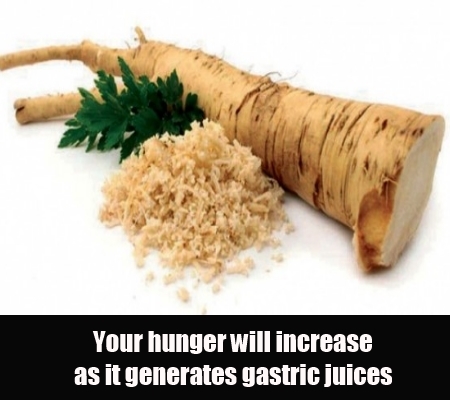 Before having meals, you can give your child 1 teaspoon of powdered root of horseradish 3 times per daily for few days. Your hunger will increase as it generates gastric juices. 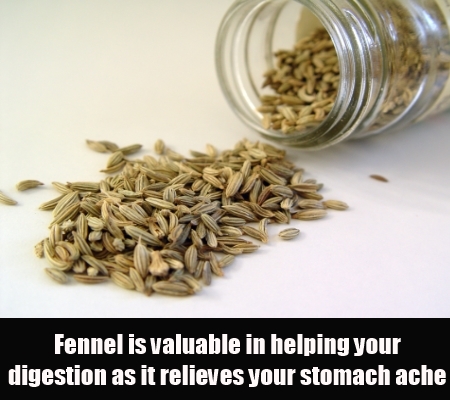 Fennel is valuable in helping your digestion as it relieves your stomach ache and improves your appetite too. You can prepare fennel soup along with potatoes, carrot, tomato or apple, and have it once a day. You can also arrange for a colorful and flavored fennel salad and ingest it with meal. Therefore you can try out the above natural cures and perk up your appetite soon.